The Hair Care Studio provides courses of top hair loss treatment and FUE Hair Transplants solutions designed for problems in both men and women. 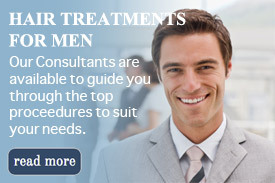 Our friendly and discreet consultants have years of experience in hair Transplants and Low Level Laser Treatments and other hair loss services and can guide you through the options of hair treatments available, starting with a free hair check and no obligation consultation where we can determine if hair transplant (partner clinic), hair implants, Low level laser or hair integration is the right course for you. Our local areas include Luton, Northampton, Milton Keynes, and Bedford. If you are experiencing or worrying about hair loss, alopecia, hair thinning, male or female pattern baldness or a receding hair line we can replace it the same way that you lost it. Current, well known hair loss treatments include 'hair transplants' and 'hair implants'. Hair Care Studio proved The cheapest quotes and give a price match. 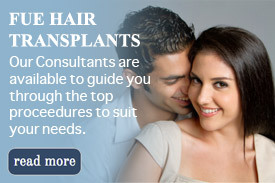 We offer Hair Transplants are the best prices and the best quality. Ideal for someone with a busy lifestyle enabling you to do sporting activities including swimming with complete confidence knowing you are always looking good and feeling great. With 0% APR as well offered to everyone, you can get a full head of hair from as little as £150 a month. Other hair loss treatments available at the studio include Low Level Laser Hair Therapy, as well as FUE Hair Transplants where visible benefits can occur quickly often within a few months. These treatments are all suitable for men, woman and children of all ages and hair types. Please view some Testimonials. We understand every case is different where hair loss is concerned and can affect confidence and your everyday life. Hair Care Studio offers the best natural programs on the UK market today, with all products and treatments FDA approved. FREE consultations are available throughout our Bedfordshire branch. To Request a FREE Callback / Consultation From a Consultant Please Fill In Your Details. We Will Guide You Through Our Treatments And Prices.